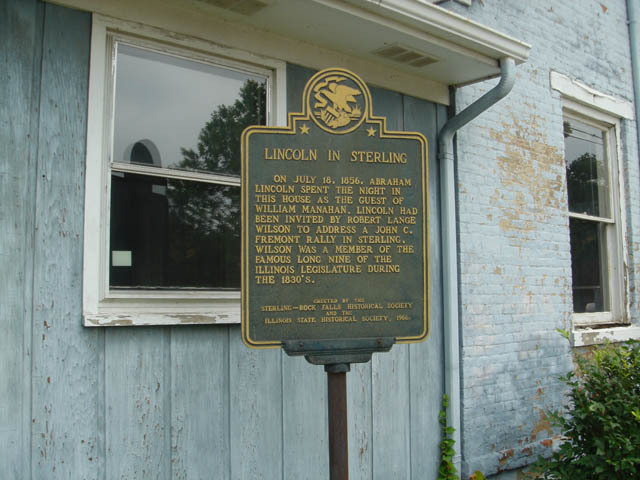 Located south side of E third street (one way east bound) between 6th Ave, and 7th Ave Sterling IL Coordinates Lat N 41 47.415" Lon W 89 41.211"
On July 18, 1856, Abraham Lincoln spent the night in this house as the guest of William Manaham. 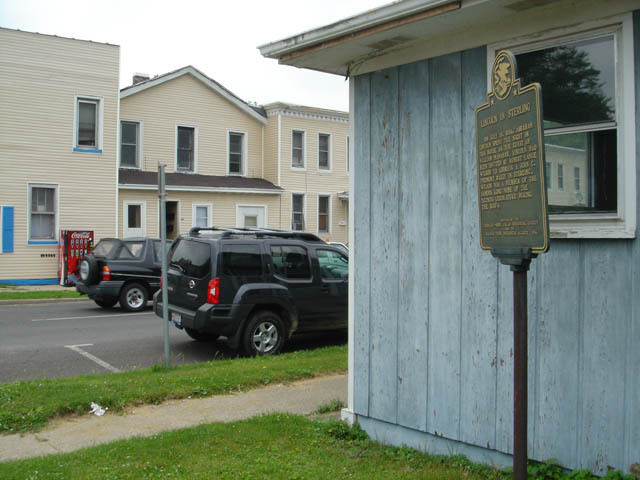 Lincoln had been invited by Robert Lange Wilson to address a John C. Fremont rally in Sterling. Wilson was a member of the famous Long Nine of the Ilinois legislature during the 1830's.